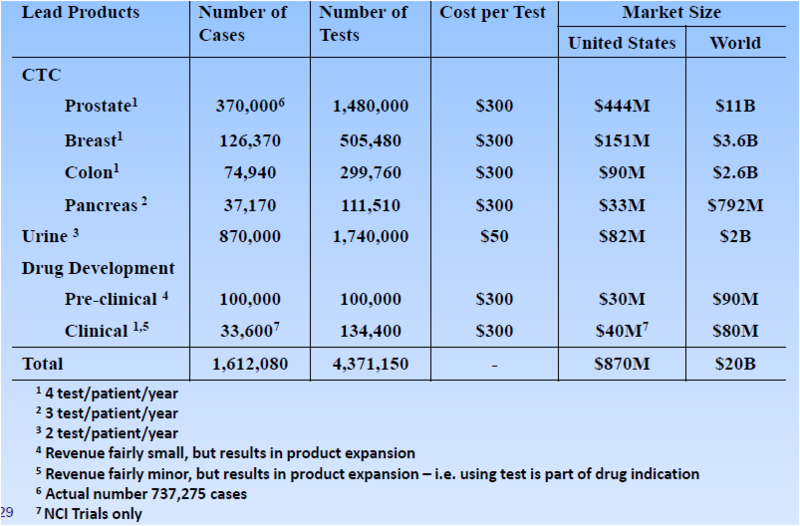 20-30 mln tests in US. Est. 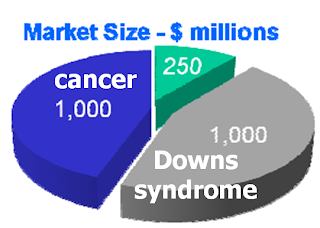 20,000 separations from single pharma site p.a. 25 Mln p.a. early stage rev. 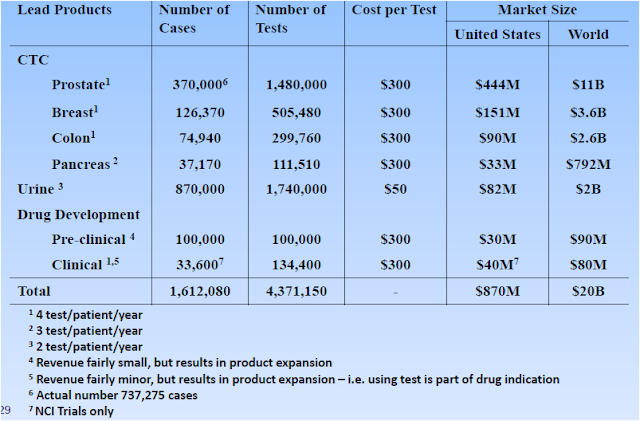 10 Mln US patients= 25 M tests/year. 2-3 tests/yr/pat. 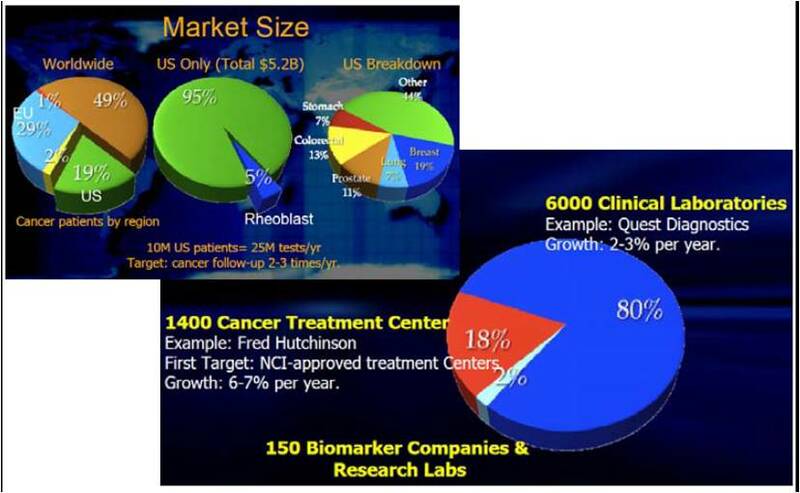 Figure 5 is the estimated market share by a CTC company, Silicon Biosystems, which provides solution for cell sorting. 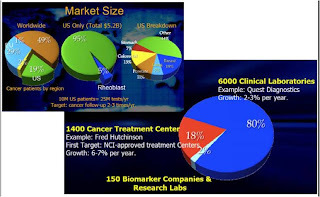 The demand for cellular analysis will also expand significantly during the next five years. This sector was worth $10 million in 2010 and is expected to increase at a 95.4% compound annual growth rate (CAGR) to reach $296 million in 2015.